Today I configured the MKU 23 G4, I ordered from Michael in Friedrichshafen to perform a RX test. 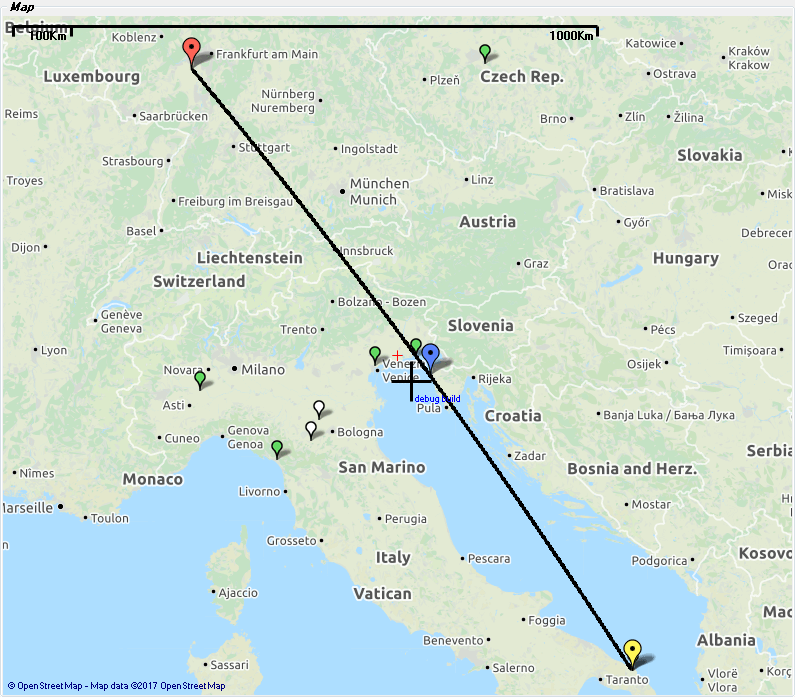 Via aircraft scatter it was no problem to receive the beacons OZ7IGY in JO55WM over 670 km and OK0EK in JN89VJ over 689 km. 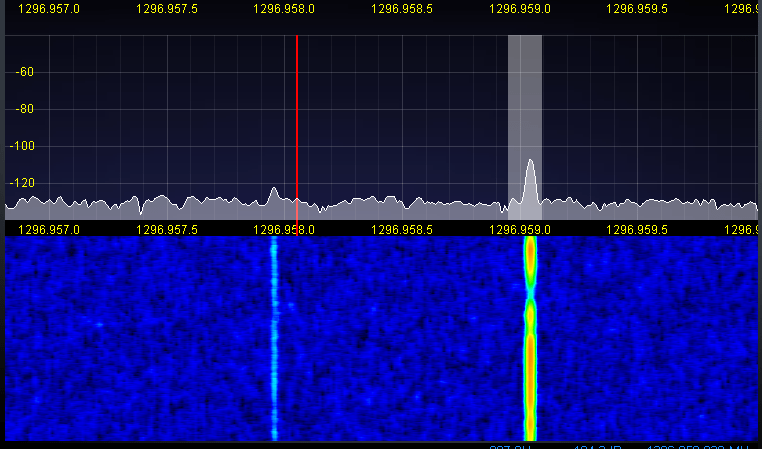 The sun noise is at a level of 6 dB. 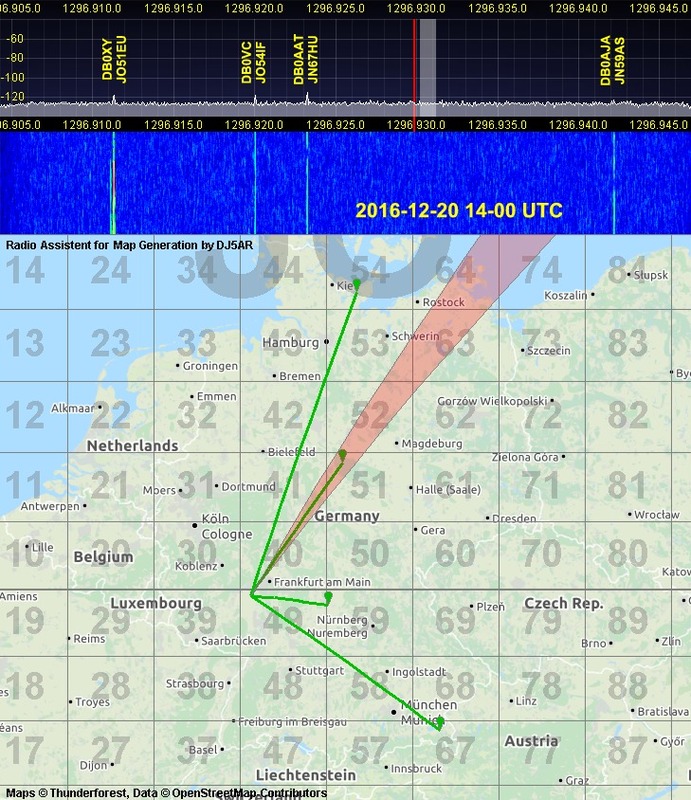 This entry was posted in Beacons, Equipment and tagged 13 cm, 2320 MHz, Aircraft scatter, Tropo on 2016-11-22 by admin. From Monday, June 22nd to Wednesday, June 24th I will be QRV during the evenings on 23 cm and 13 cm using the special event callsign DL65DARC. 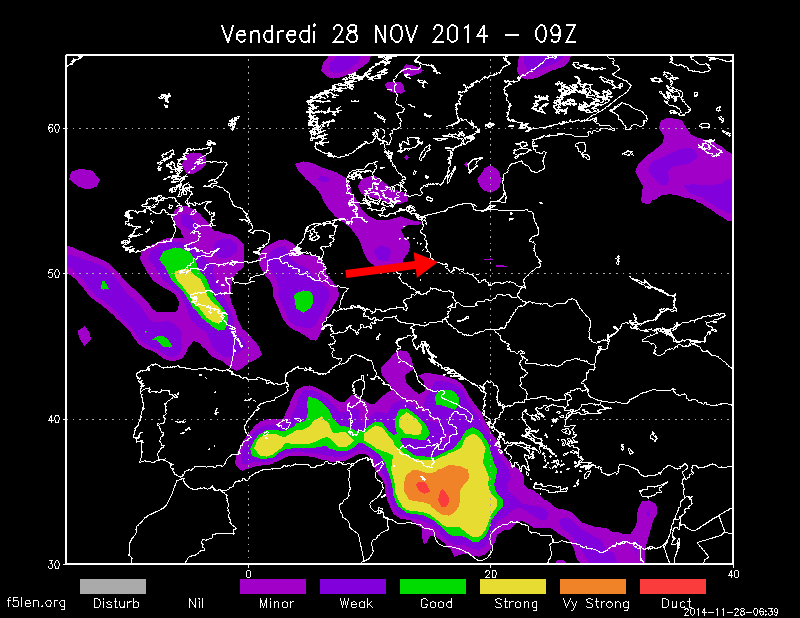 Skeds (aircraft scatter, tropo) are welcome via ON4KST, Facebook or email. Rig will be a 3 m dish with 150 W on 23 cm and 75 W on 13 cm. 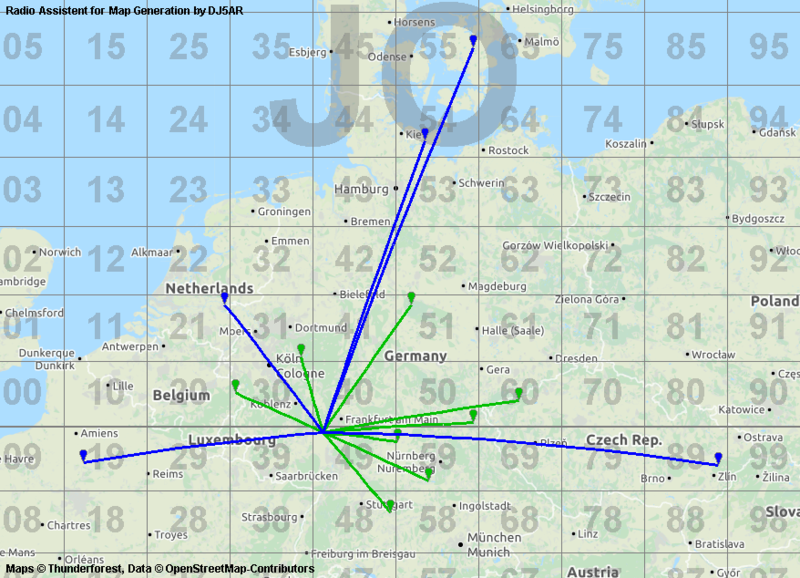 The QTH locator is JN49CV. 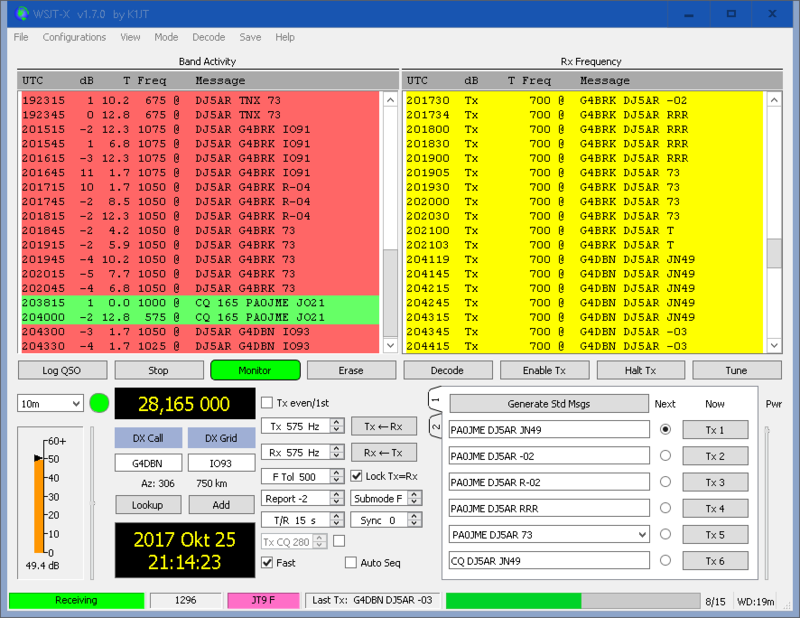 SSB, CW and WSJT modes are suitable. Operation on relays is not intended. If I find some spare time, I will be QRV on June 25th, 26th and 28th as well. On Saturday, June 27th, you can meet me in Friedrichshafen. 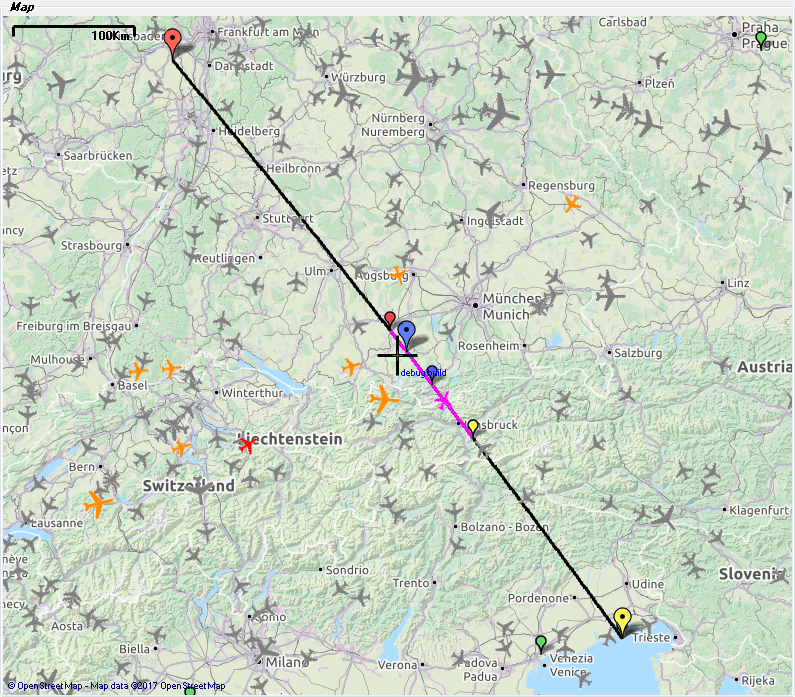 This entry was posted in Allgemein and tagged 1296 MHz, 13 cm, 23 cm, 2320 MHz, Aircraft scatter, DL65DARC, Mainz, Tropo on 2015-06-17 by admin. Short version of the lecture with focus on aircraft scatter and ISS bounce. We meet at 15:00 MEST on the car park at the town hall. There will be a flee market for GHz stuff and the opportunity to test own equipment or to have QSOs with other participants. 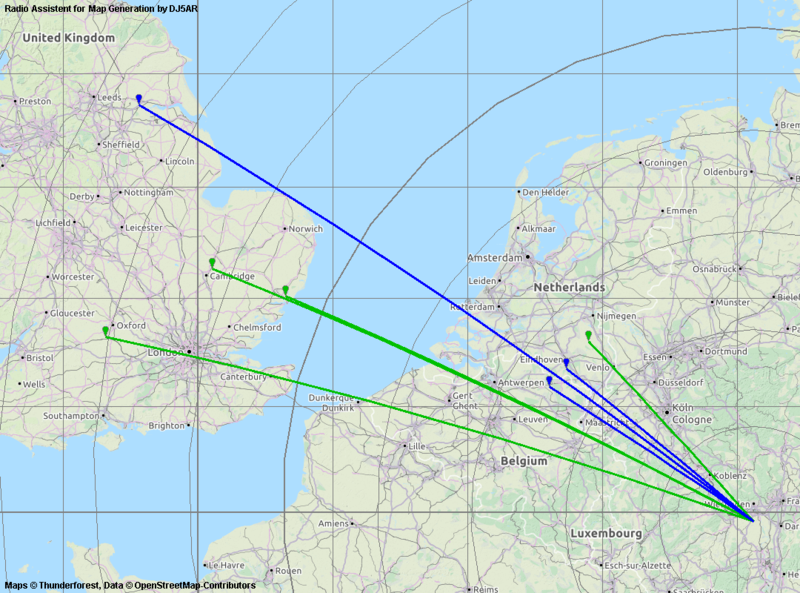 Full Version with overview of propagation modes, aircraft scatter, ISS bounce and visual moonbounce. 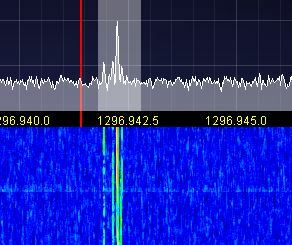 This entry was posted in Aircraft Scatter, ISS Bounce, Lecture and tagged 1296 MHz, 13 cm, 23 cm, 2320 MHz, Aircraft scatter, AirScout, Amateurfunk, beacons, dish, DJ5AR, DX, EME, International Space Station, Inversion, ISS bounce, Let´s Bounce, Microwaves, moonbounce, Parabolspiegel, PI9CAM, Radiotelescope, SHF, Tropo, UHF, VHF on 2014-10-09 by admin.